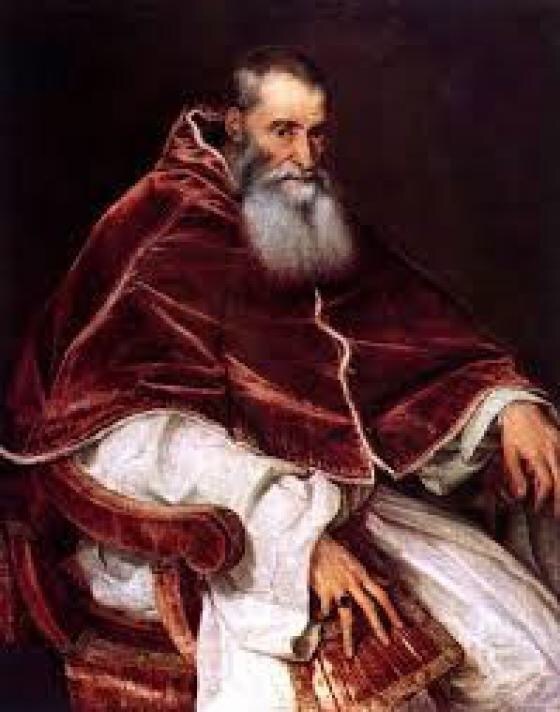 On 17th December 1538, Pope Paul III published a bull of excommunication against Henry VIII. The original bull had been drawn up on 30 August 1535, but held in abeyance in the hope that Henry would be reconciled to Rome. But, having tasted the power of being the head of both Church and state in England, there was no turning back for the King. The particular act that Paul III cited as provoking the excommunication, was the desecration of the shrine of Thomas a Becket at Canterbury, and the burning of the saint’s bones.